J.K. Rowling’s international non-profit organisation Lumos has had an incredible year, supporting work to transform children’s lives in 21 countries, on four continents; reuniting children with families; saving lives through urgent medical care; protecting children who have been abused or trafficked and helping governments transform their systems of care. Lumos is not an emergency response organisation, but in the wake of Hurricane Matthew, Lumos did what it could to help. Partnering with local government and NGOs in Haiti, Lumos has reached children in orphanages and vulnerable families affected by the hurricane, providing emergency food, clean water, medical care and protection for more than 1,500 children. In the desperate struggle for survival, one 14-year-old boy was shot and seriously injured at a food distribution point. 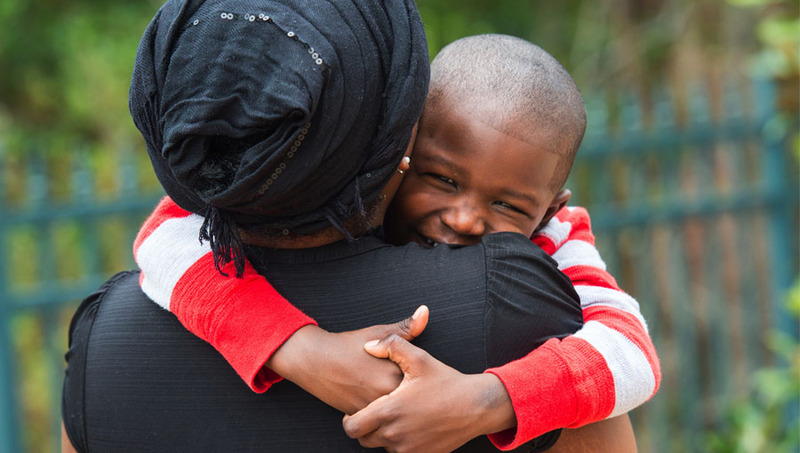 Lumos’ partners helped get him vital medical care and set about finding his family. He is now in a stable condition and reunited with his mother. Lumos also had to work quickly to protect vulnerable children. In the immediate aftermath of a natural disaster, the risk of child trafficking increases dramatically, because so many children have been separated from their families. Children in orphanages and hospitals are at increased risk of being taken by organised criminals. Lumos and partners are documenting every child in 50 of the orphanages most affected by the hurricane to ensure they have the basic care they need and to reduce the risk of the children disappearing. This would not be possible without the funds raised by the thousands of people who supported the WeAreLumos Worldwide campaign, which launched in September with a special gala performance of Harry Potter and the Cursed Child and a Facebook Live interview with J.K. Rowling. The campaign concluded in November with thousands more supporting an online CrowdRise campaign and a benefit screening of Fantastic Beasts and Where to Find Them at Carnegie Hall in New York City.